"In Honor of ALL Fallen Soldiers"
Sunday, May 19, 1pm: Parade route is North bound Fort st. (M-85) running from Park street down to Memorial Park. Join us as we Honor ALL Fallen Soldiers, and bring this wonderful event to the Downriver area. 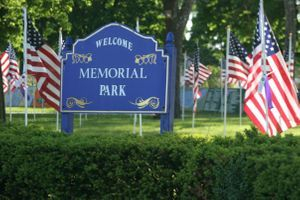 For 2019: Hands of the City- Lincoln Park and the city of Lincoln Park are honored to host a special Memorial Day Parade, to properly remember the passing of Congressman John D. Dingell, and show respect for his World War II military service. Hands of the City will be making a special presentation to the Dingell family during the parade. We invite all of Downriver and Wayne county to come enjoy our parade, and honor the man who has served southeastern Michigan for so many decades.